I got a lump in my throat just reading that. Can’t wait to meet her. Laurel will have to gush for me while she’s there. Those are some great photos, and a wonderful post too! 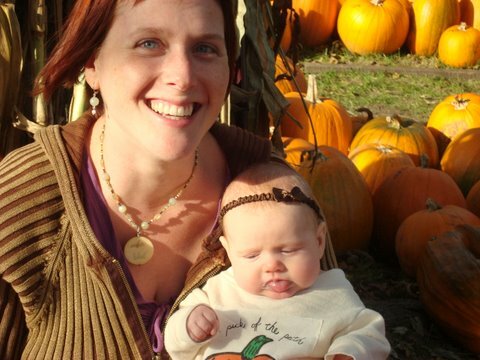 I have to agree the photo of Isla in the middle of the pumpkins is pretty “gush-worthy”. But my favorite is her smiling – so sweet! I am really happy for the three of you (4 counting Bruno!). Oh these are great—I’m with Rick though, my favorite is the one with that great big smile. She has grown so much since we were there—think it’s getting close to where we might just have to come for a visit soon–like after I finish her Christmas stocking–hopefully before the hunting trip to Nebraska. I’m with Freddie – this is a lump-in-the-throat post. Also a great one for gushing! 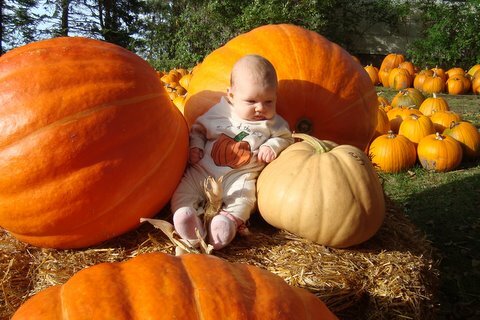 Isla is so cute sitting in the pumpkin patch. 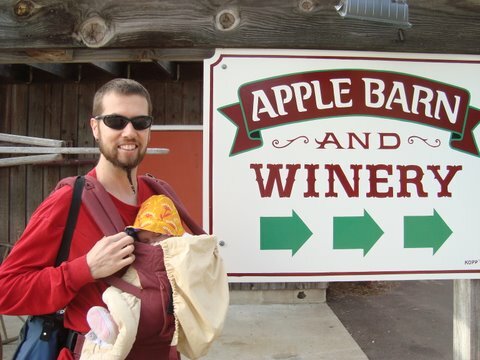 Looks like she had a great day at the orchard and winery. 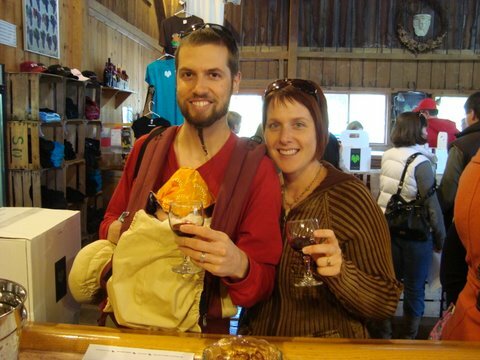 Altho, she looks like she got a little tired out by the time she got to the winery. Better tasting opportunities for you two that way. Smart girl! looks so precious wearing her hair ribbon and bow. Those pictures are wonderful, she is so cute! I can’t imagine how much more gushing will be involved when I actually see her and get to hold her. It’s going to be a wonderful Christmas! 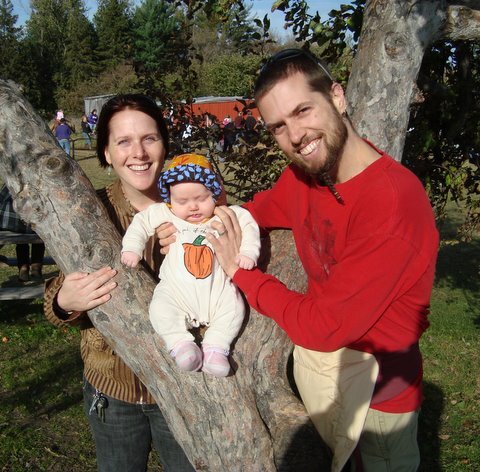 Hey, there’s a baby in that pumpkin patch! What a cutie, I can’t wait to meet her. I’ll gush a little extra for Freddie! Wow, super great pix and post!